Our first real day of vacation started off with a big scare when I found one of my car tyres deflated. Luckily, I was only a few metres from the rental company and was hence able to fix it without much ado. Apart from the minor hiccup, Apex, the car company, was pretty decent otherwise. 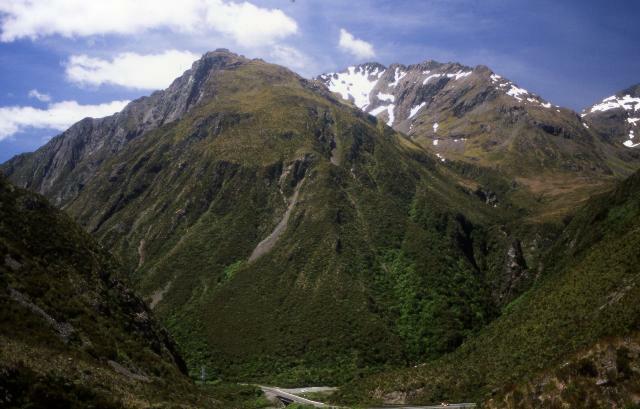 We were soon on our way to Arthur's Pass National Park, located 2.5 hrs west of Christchurch. We spent the rest of the day doing some day hikes in the park - we first walked the Devil's Punchbowl falls trail which took us to the base of the biggest falls in the park, then walked up and down the pretty Ottira Valley and finally walked half way up the Scott's Track which infact had better views of the Devil's Punchbowl falls than the first walk. The Scott's Track continues on to the Avalanche Peak, ascending which is one of the classic day hikes of the park. We had decided against doing the complete trail as it would have eaten up all the time we had allocated for the park. The next day we drove to west coast and met our biggest adversary of the trip, the weather. New Zealand weather, especially on the west coast, is one of the most fickle on the planet and it rains by the buckets during spring and early summer. A third of what we planned here on was drowned in rain. But the good days more than made up for the bad ones and ensured that we return with an overall pleasant memories from the trip. 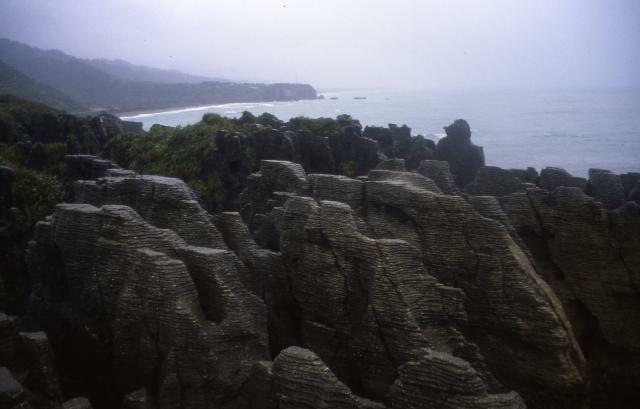 Our first stopover on the west was the Paparoa National Park, famous for its pancake rocks and the blowholes. It was pouring when we reached there and all we could manage was to take a quick look at the Pancake Rocks (named so due to its unique "pancake" shape) at the Dolomite Point and walk the Truman Track, the shortest trail in the park. We then slowly made our way to the glaciers stopping en route in couple of off-beaten path attractions, Lake Kaniere and Hokatika Gorge. 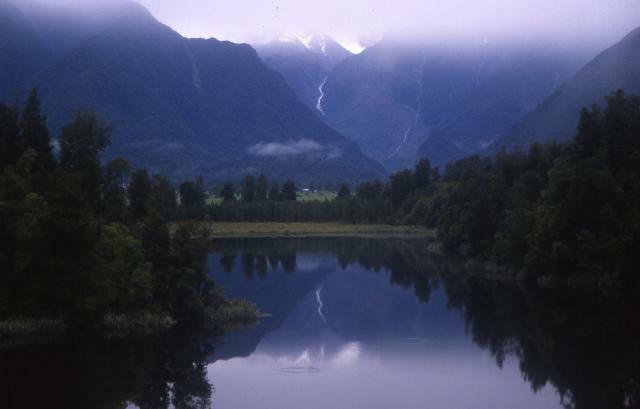 Fox and Franz Josef, also referred to as the "glaciers", are two most accessible glaciers in the country and outside the glorious exception of Patagonia, they are also the most accessible on the planet. The following day was spent day hiking at the Fox Glacier. 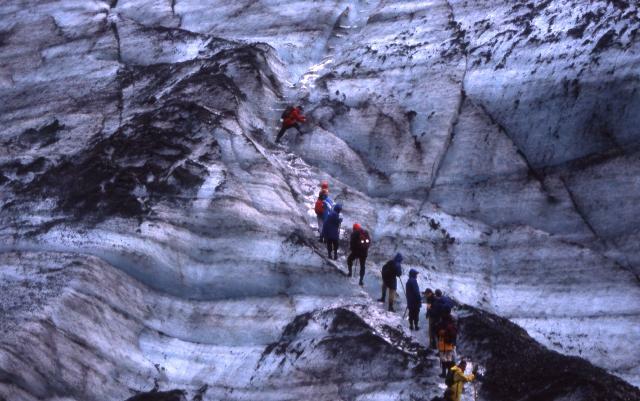 However, our glacier walk which although started quite well, ended quite miserably. Fresh rain made our progress very dangerous beyond a point cutting short our day hike. The final hour on the slippery glacier had left such a lasting impression on my wife that we decided to cancel the following day's stint on the Franz Josef. But the rain beat us here as well forcing the authorities to cancel the entire walk due to bad weather. We were hence forced to enjoy the only other activity available in these parts, to visit the Kotuku or the White Heron. This rare bird nests in a bird sanctuary in Whataroa (located at about 50 kms from the glaciers) during the southern summer. 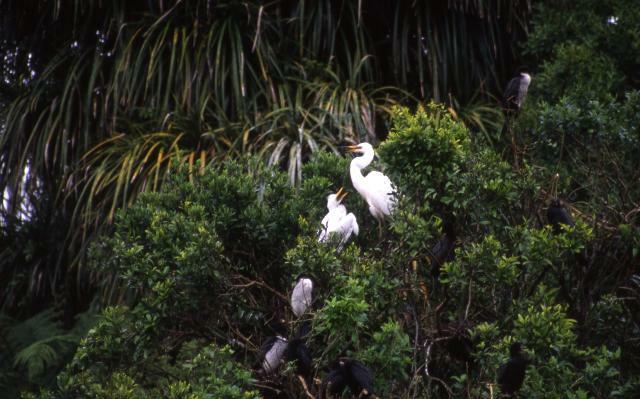 The trip was fantastic and we were able to see these birds nesting from within 50 yards. In the spare day at the glaciers, thanks to the cancellation of the second glacier walk, we decided to do some day hikes around the region. Of these, only our early morning walk around the Lake Matheson - where we saw the famous but little less than perfect reflection of Mt. Cook - was spared by the weather. To escape from the rain, we made an early dash to Haast, our next destination, where, to our great luck, we had enough spare time and sunshine to explore the region. We drove upto Jackson Bay, a small nondescript beach side town famous for its penguin sightings. It turned out to be the first of the many places where the flightless bird eluded our search. The en route Hapuka Estuary ended up being the only decent stopover on the drive.